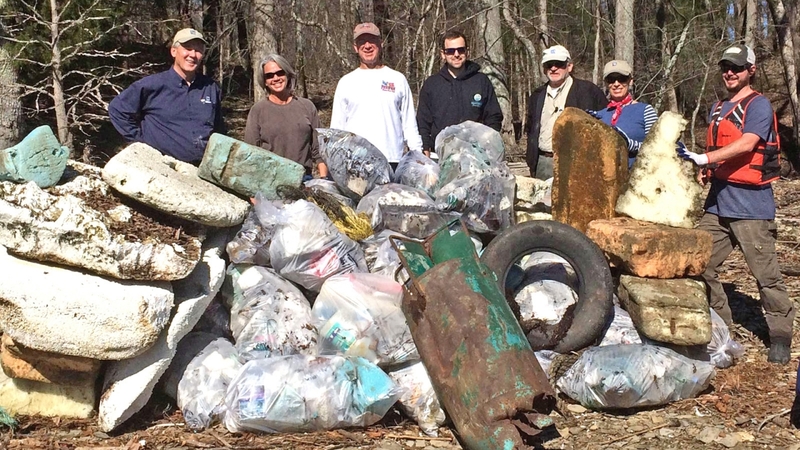 Keep the Tennessee River Beautiful volunteers working at Mississippi's Pickwick Lake. “LL&W is thrilled to be able to assist Keep the Tennessee River Beautiful with its Grand Slam cleanups!” said Pregracke. “Their leadership will maintain this great natural resource for the area that is truly one of the most beautiful rivers I've ever had the privilege to work on!" “With 80 percent of marine debris coming from land, stopping the flow of litter to the oceans is of paramount Importance," said Helen Lowman, President & CEO for Keep America Beautiful. "We're thrilled to join Keep the Tennessee River Beautiful and its partnering organizations in this effort to keep the Tennessee River and neighboring watersheds litter-free through this notable Great American Cleanup initiative." Lowman and her team will join the cleanup in Iuka, MS on Friday, March 15, to officially kick off the Great American Cleanup nationwide and to launch Keep America Beautiful’s new Common Ground Campaign. Local elected officials have been invited to each of the Tennessee River Grand Slam Cleanup events to demonstrate that the cleanliness of our communities—and by extension, our waterways—is Common Ground, a non-partisan issue. The hope is that this new initiative will serve as crucial, tangible steps for the nation moving forward.